Florent PARMENTIER answers 3 questions on Moldova, following his interview in La Croix. Cyrille BRET : What did trigger the mass protests in Moldova? Florent Parmentier : the origins of the mass protests in Moldova (according to some figure, about 30 000 protestors) lie in the disappointement of the citizens vis-à-vis their political leaders, both in terms of governance and corruption. Since the independence, the country’s political elites have consistently resisted to establish new rules of the game, implying more transparency and accountability. The pro-European government is not challenged by the pro-Russian opposition, but by citizens who expect some results in governance and anti-corruption reforms: there are no political parties behind the protests. The core relies on the pro-European and nongovernmental civic platform Dignity and Truth, established in April, which is informal. It seeks early parliamentary elections, though the outcomes are uncertain. CB : Why is President Timofti held responsible for the « disparition » of the US$ 1bn? FP : President Timofti’s election was welcomed in 2012, after a long period of vacancy at the level of Presidency. At the time, Moldova was widely considered in Brussels as the top reformist EaP country, and Timofti was part of the pro-European coalition, with a jurist background (he was the head of Moldova’s Supreme Magistrate Council). Yet, he is now considered by public opinion as one of the leaders, with the heads of the Moldovan financial institutions, who have let the banking scandal happened. He failed to meet the public’s expectations in terms of pushing for reforms and modernization of the state institutions. CB : Will it result in a reinforcement of the EU partnership ? Or a new drift towards Russia ? 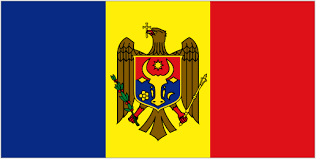 FP : the fact that Moldova is a small country (3.6 millions inhabitants) should be helpful to push for a comprehensive agenda of reforms, thus consolidating its democratic bases and the functiong of its market economy. Current protests show a dislocation in the pro-European movement in Moldova. Governing pro-Europeans have won the elections in November, but they could not secure stability and reforms. The Prime Minister Gaburici’s had to step down in June, and its replacement by Valeriu Strelets (a Moldovan businessman) was not perceived as a sign of accelerating the pace of reforms. Opinion polls show that an overwhelming majority of the population thinks that the country goes in the wrong direction. In this context, the current leadership will stick to its pro-European orientation, but know that they should follow a pragmatic line regarding Moscow. The current protests may even strengthen the pro-Russian parties, such as the Socialist party. Précédent 1 year of geopolitics!